Need more information about booking Home 118572 ? Rowan Cottage is a three bedroom Victorian terrace cottage holiday accommodation in Glastonbury Somerset, set well back from the road with ample off road parking. Situated on the outskirts of Glastonbury, Somerset, it is within walking distance, or short bus ride of the High Street, Abbey Ruins, Rural Life Museum and Glastonbury Tor. Now with FREE Wi-Fi and a wide range of improvements to make your stay even more comfortable. Within easy reach of Wells and its historic cathedral; the factory shopping outlets in Clarks Village, Street; the Mendips with their show caves at Cheddar and Wookey Hole; the reed beds on the Somerset levels famous for its bird watching and the Glastonbury festival at Pilton. Within an hours drive of Bath and Bristol; Taunton Somerset's County Town; Exmoor; The Quantocks and the Beaches at Western-Super-Mare. It is ideally situated for exploring the South West of England. This House has 3 bedrooms, 1 bathroom and sleeps 8. It’s been listed on Holiday Lettings since 17 Feb 2010. Located in Somerset, it has 14 reviews with an overall rating of 4.5. The average weekly rate varies from £630 to £710. Nicely,tastefully updated old Victorian cottage. Some neat conversions and alterations,such as putting a bathroom in what probably used to be the pantry or larder. 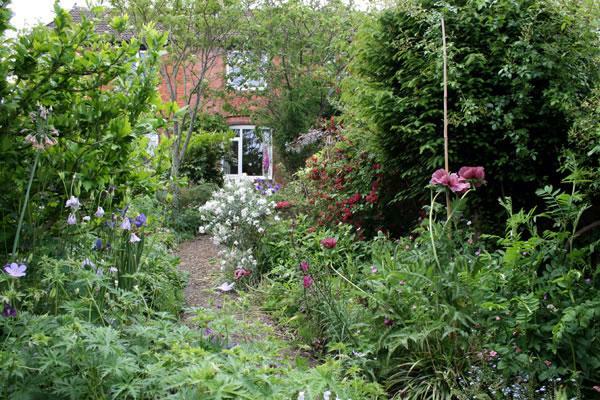 Very straightforward to locate,not difficult at all,also strategically located close to the centre of small Glastonbury-also conveniently (for us) very close to Street (which was our ultimate destination. Our short stay afforded us the opportunity to make a mini tour of both towns. Garden could be better tended,though,and made much more of than it is in its current state-which is rather basic. Certainly well up to requirement,it measures up well. Not bad at all;keep up the good work. My partner and I stayed at Rowan Cottage during the Christmas period in order to be close to family who live nearby. We initially chose to stay here due to the location and we were thoroughly impressed during our stay. It's a lovely cottage in beautiful surrounds, was imaculately presented and the owners couldn't do enough for us during our stay. We are from Australia so not familiar with the area we were made to feel very welcome. We will definitely stay here again and highly recommend it! The photographs of Rowan Cottage on the website coupled with the intriguing 'treasure hunt' directions suggest a hidden rural retreat, whereas the property is actually situated on an unlovely stretch of main road and backs on to an industrial estate. Having said that, it is quiet and very conveniently placed to explore Glastonbury, which is perfect if you are a New Ager or an aging hippy, into magic, crystals or alternative therapies. It is also within easy reach of a number of other suitably touristy sites, including Wells, Bath and - dare I mention it - the retail outlet at Street., which is a useful option for rainy days as it is covered. If you've got a good deal of money to spare, you can also go to Cheddar Gorge and Wooky Hole; we took the scenic route to avoid the huge entrance fees, which also meant avoiding the crowds while enjoying spectacular views. Somerset is always a delight, whether you're seeking sorcery, scenery or scrumpy, so anywhere that allows ease of access and an opportunity for exploration has to score points. On a more prosaic note, it is also only a few miles from a large supermarket in Wells for the weekly shop. As described on the website, it is a Victorian cottage with all the charm that entails: a delightful old-fashioned garden leading to the front door, a quaint feel to the rooms, especially the peaceful sunroom looking on to the patio garden. Unfortunately, it also has some of the drawbacks you might expect of a house of that period, for example a large damp patch in the corner of the staircase, a colony of persistent spiders (and their ensuing webs) and a slightly musty, dusty feel on arrival. In fact, the first thing we did was scrub and polish; we are not picky clean-freaks (by any stretch! ), but the thick layer of dust in the living-room and bedrooms and the sticky cupboards in the kitchen were a bit much even for us! To be fair, this was easy as the owners had generously left all the cleaning products discarded by previous tenants. They had also thoughtfully provided some tea, coffee, milk and sugar and a wide variety of books to read - a welcoming touch. The kitchen was well-equipped with good quality gadgets, including an extremely efficient dishwasher, so cooking was a pleasure. Similarly, the utility room, accessed through the patio garden, had an excellent washing-machine, dryer and freezer. By contrast, both double beds and mattresses were poor quality and uncomfortable, so we all ended up with backaches. However, our main issue with Rowan Cottage was that we were always worried we were going to lose our £100.00 deposit by staining the white sofa covers and cushions, scratching the polished antique dining table or breaking the glass placemats and coasters. This, plus the dire warnings that we were not to disturb the neighbours by making any noise after 11 pm, meant that it wasn't as relaxing a holiday as it might have been. I emphatically wouldn't recommend it to a family with young children or a group of friends out for a good time! You can get in touch with Neil (the owner) through the contact form on this page. Send Neil (the owner) an email through the contact form on this page. Alternatively, if there’s a phone number on this page, you can call them. How do I contact Neil (the owner)? If you’ve already booked, go to Manage your holiday booking to view Neil the owner's contact details or send them a message. Or send Neil (the owner) an enquiry through the Contact the owner/manager form if you’d like a quote or more info first. When you pay online through the Book your stay form, a booking request is sent to Neil (the owner). You’ll find out within 24 hours whether they’ve accepted - no money will leave your account before then. You can also request a quote from Neil (the owner) through the contact form. The owner will email you the total cost for your dates and a link to book and pay online. Use the Book your stay form to pay provisionally online. You can pay by credit/debit card or PayPal. Neil (the owner) will have 24 hours to accept the booking and no money will leave your account before then. Why can't I call Neil (the owner) before booking? You’ll need to contact Neil (the owner) to do this. Send them a message in Manage your holiday booking or through the contact form on this page. You can request to change the dates or number of people on your booking via the Manage your holiday booking page. To change your holiday dates use the Edit booking button. If you need to change the number of guests staying then send Neil (the owner) a message. If Neil (the owner) agrees, they’ll send you a revised quote outlining the changes. You can review and accept/decline this from the Manage your holiday booking page. You’ll have 48 hours to take action before the revised quote expires.